Imhotep: A New Dynasty is an expansion for the 2016 Spiel des Jahres nominated game of the monuments and masterpieces of Ancient Egypt. 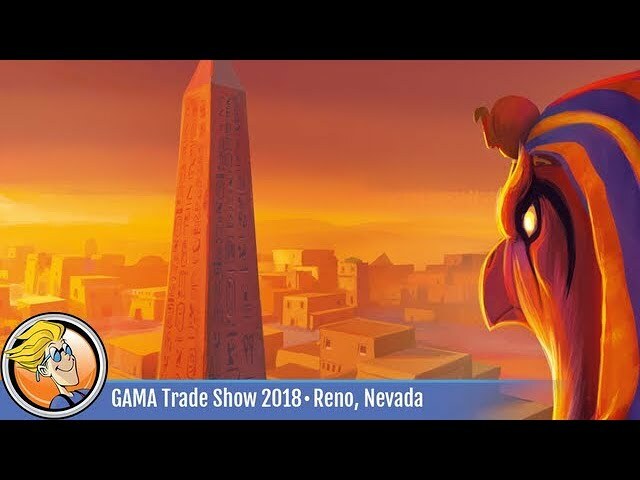 Adding five new places, fourteen market cards, seven god cards, four chariots, and 56 tiles to the Imhotep base game, A New Dynasty's God cards let players predict the progress of different buildings, with them being rewarded at the end of the game if they're correct - or otherwise being punished for deceiving the gods. Buy Imhotep: A New Dynasty to add the power of the gods to your game.